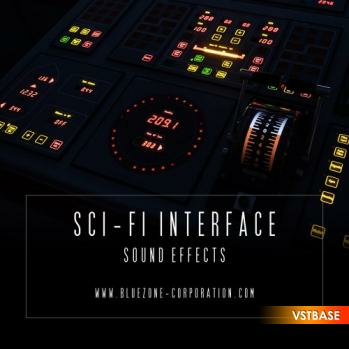 Bluezone Corporation releases 'Sci-Fi Interface Sound Effects' a new sample library delivering a wide range of UI sounds ready to be injected in your movies, video game and multimedia projects. This downloadable sample pack contains 153 meticulously recorded WAV audio files (24-Bit/96kHz/Stereo) and offers a large variety of elements to create your own sequences: alarms, data processing, futuristic beeps, buzzing high pitch sounds, transmission clicks, transitions, sonar pings and more. All sounds were recorded using various sources (hardware synths, electromagnetic field sounds) and processed meticulously using high-end gear. All SFX are named according to their content and sorted thematically. In order to give you ready-to-use sounds for your productions, all samples are royalty-free for all your commercial projects.